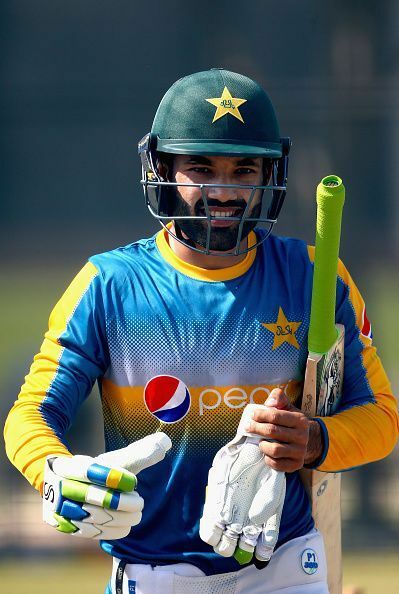 Mohammad Rizwan is a Pakistani cricketer who was born on June 1, 1992 in Peshawar, North-West Frontier Province. He is a right-handed batsman who is also a talented wicketkeeper. Rizwan played for Pakistan national cricket team, Lahore Qalandars, Pakistan A, Pakistan Under-19s, Pakistan Under-23s, Peshawar,Peshawar Panthers and Sui Northern Gas Pipelines Limited. His performances were noteworthy and perfected with athletic finesse. Rizwan’s Test debut was against New Zealand at Seddon Park on November 25, 2016, his ODI debut was against Bangladesh at Shere Bangla National Stadium on April 17, 2015 and his T20 debut was against Bangladesh at Shere Bangla National Stadium, Apr 24, 2015. He played well in international matches and proved to be an effective member. His position is the team was of much speculation. In early 2017, he was not selected for the Caribbean tour. Some of his winning performances include an 87-ball 103-run that lead Khyber-Pakhtunkhwa Fighters to win the Pentangular One Day Cup and a decent 67 off 58 balls. Rizwan was not invited to be a part of the national team anymore in 2017. He has been playing diligently for domestic teams ever since to win his place back on the national side. Rizwan played for Peshawar Panthers, Sui Northern Gas Pipelines Limited cricket team, Lahore Qalandars, Sylhet Sixers and Karachi Kings. He currently plays for Sui Northern Gas Pipelines Limited cricket team and Sylhet Sixers.